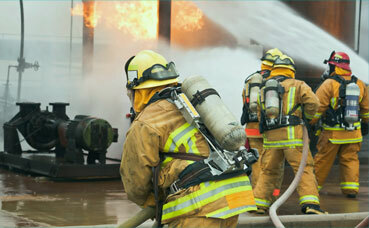 Do you have a trained and documented warden structure (emergency control organisation) that is competent in the use of fire suppression equipment? Do you have evacuation diagrams (pdf) in all workplaces and facilities that meet current standards? If any of the above are not in place, we can provide guidance and assistance to undertake these activities to ensure you meet your duty of care. Embedding a solid foundation in managing emergencies will enhance the effectiveness of any disruptive emergency event that may require a business continuity response. For assistance please contact the risk and governance services team on 08 9483 8888. Does risk management seem complicated, time consuming or disconnected from what you’re trying to achieve? Could you risk management program add more value to your local government decision making processes? The Australian Standard 3745-2010 Planning for Emergencies in Facilities denotes that all publicly owned buildings must display an emergency evacuation diagram. This is mandated in Occupational Health and Safety Regulations and Public Building Health Regulations 26. If you have workers on the road, working in isolation in remote area, or simply out and about, the use of available emergency apps is an effective supplement to your emergency management program.